Scientists have managed to decipher the skin‘s ‘beauty gen’. Beautygen Snow Algae Extract, an extract from snow algae, activates the skin‘s ‘beauty gen’, protects collagenous fibers and provides for better elasticity. 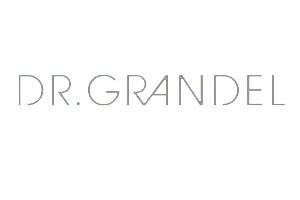 DR. GRANDEL RENEW ESSENCE strengthens skin and provides firmed contours. The interaction of BEAUTYGEN Snow Algae Extract and anti-age peptides acts like a fountain of youth. The skin is renewed and rejuvenated and the skin appearance refined. Tip: With a modern fruit acid peeling, even faster and better effects can be obtained. To that effect, apply Alpha Effect AHA Peeling 20, leave on for 10 minutes (may tingle noticably, which is fine), then apply RENEW ESSENCE and leave on to be absorbed. Finish with suitable skin care cream.